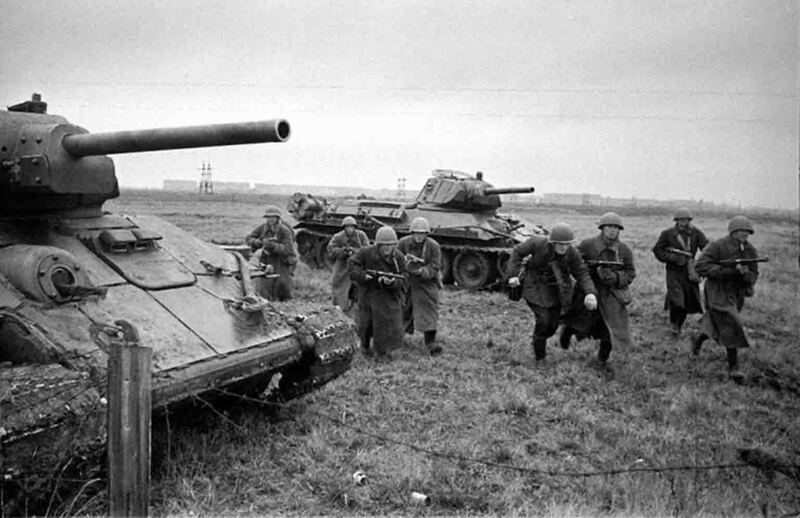 Interaction in the battle between the Soviet infantry and medium-sized T-34 tanks with additional armor (production of the plant No. 112 of Krasnoye Sormovo). The Leningrad Front, autumn 1942.